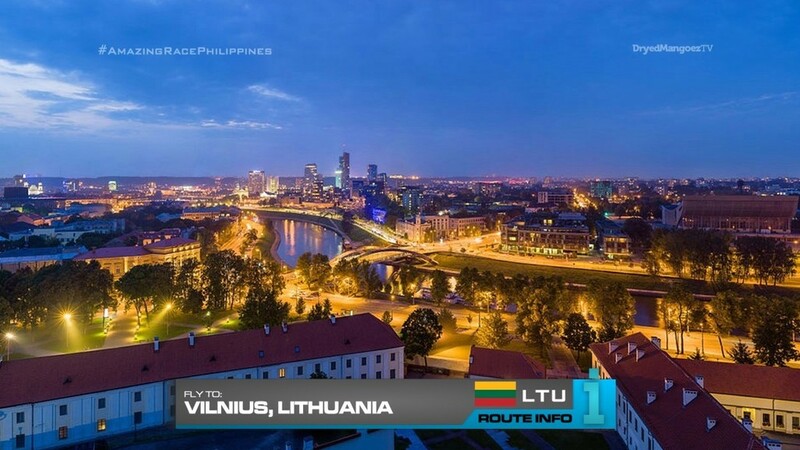 The 11th Leg of the 11th season has teams flying to Vilnius, Lithuania! There are two flights: One via Brussels arriving at 4:45pm and another via Istanbul arriving at 6:05pm. 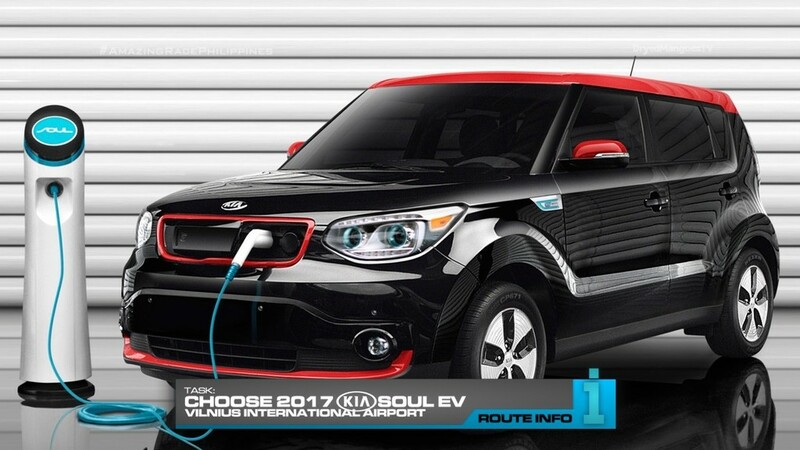 At Vilnius Airport, teams must choose a 2017 Kia Soul EV and drive themselves to Martynas Mažvydas, the National Library of Lithuania. Granted afterhours access, teams will choose a call number and use it to search the sprawling library for the next clue in the stacks. 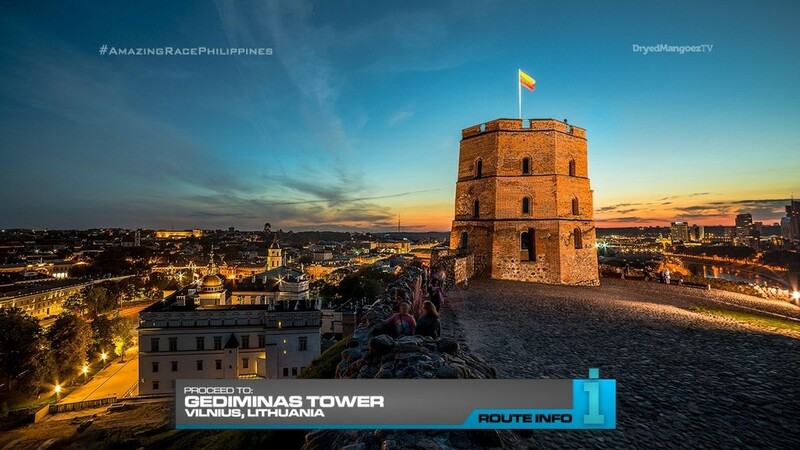 That clue points teams to Gediminas Tower which HOURS OF OPERATION is closed until 9am tomorrow. 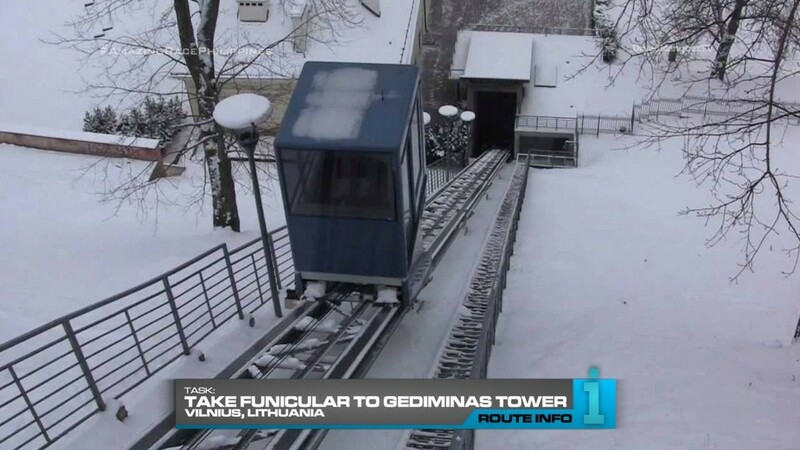 When it opens, teams must take a funicular up to the tower to search for the next clue. That clue is located at St. Anne’s Church. Teams must now make their way to Nautilus Courtyard in Old Town where they will find a local Lithuanian woman working outdoors. She will give them a package and tell them where to take it. They must travel on foot through old town to the correct person in the Vilnius University courtyard. That person will give them another package which they must deliver to one of four final destinations. 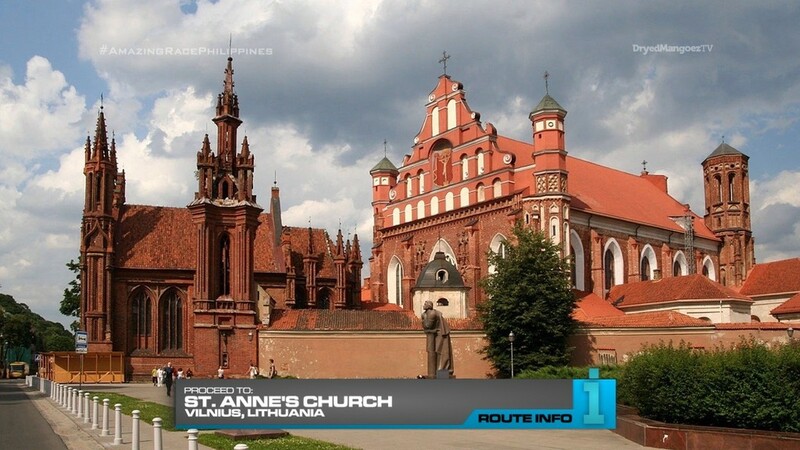 Afterwards, teams will head to this location outside Vilnius for the Road Block: Who’s ready to take command? This is the 12th Road Block of the Race and each team member can only have six Road Block after this point. 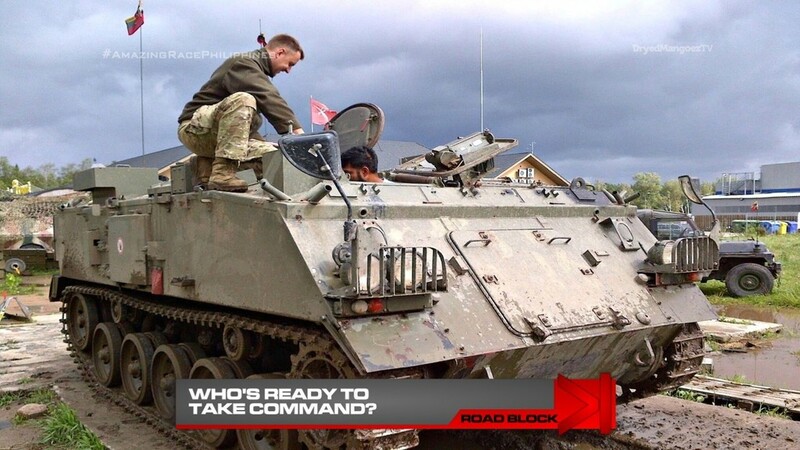 For this Road Block, teams must complete a marked course while driving a military tank! 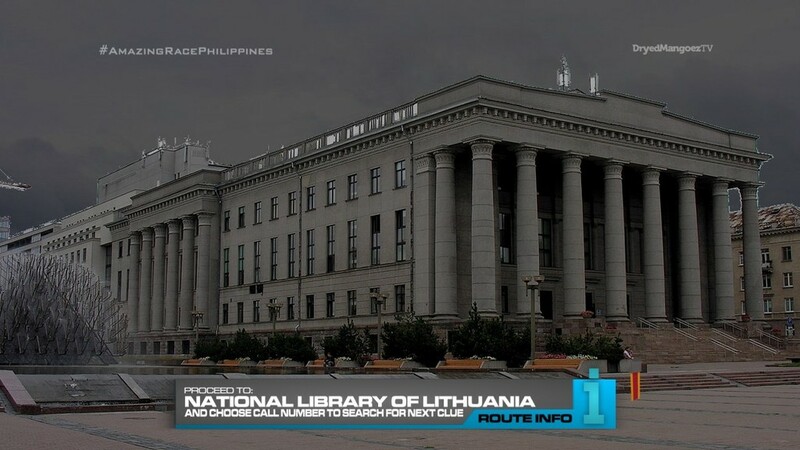 After the Road Block, teams must head to Lietuvos Liaudies Buities Muzeijus, a museum in Rumsiskes. 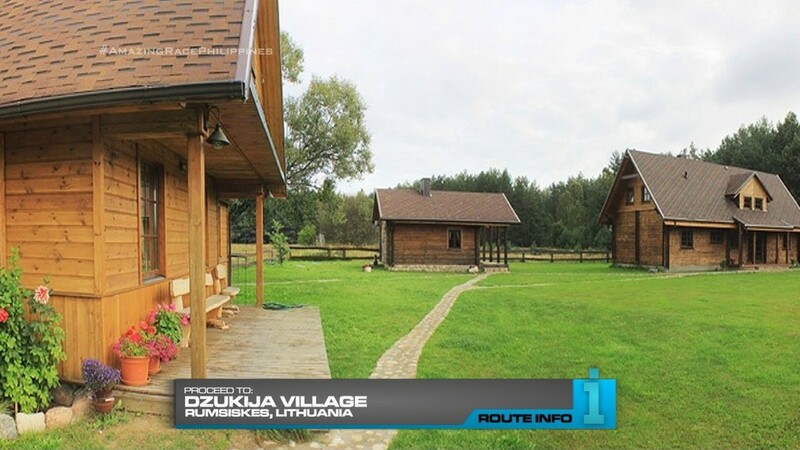 Teams must follow a road to Dzukija Village where they must search the area for a Travelocity Roaming Gnome with their next clue. 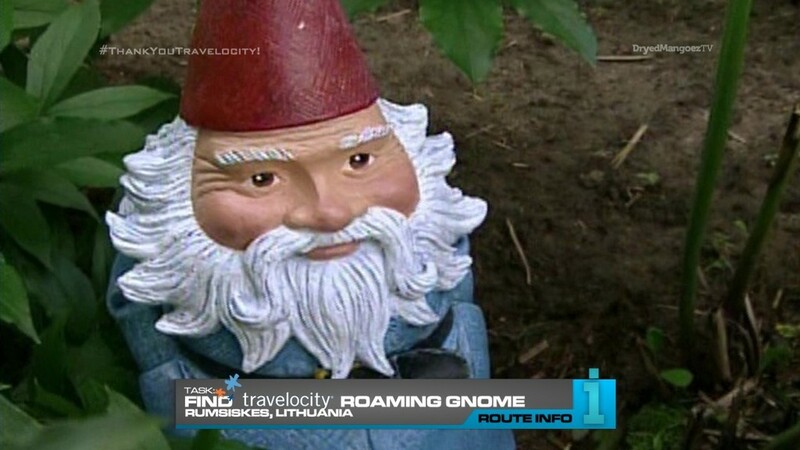 The Gnome will need to keep them company until the Pit Stop. 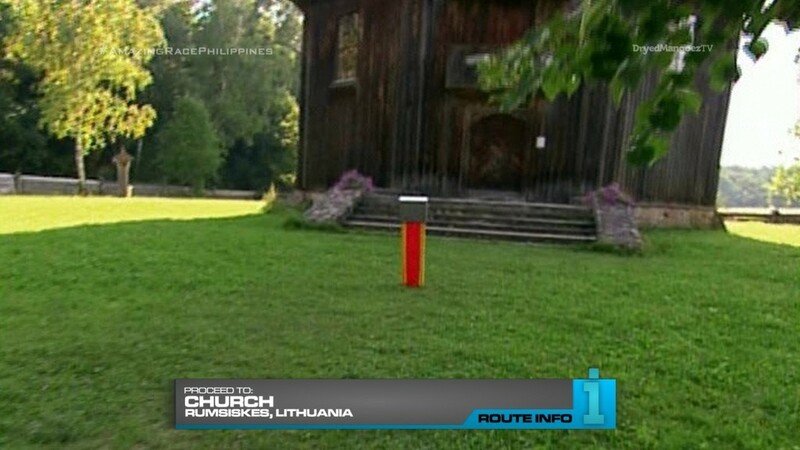 Teams must now find the church for the next clue revealing the Detour: Count Down or Step Up. For Count Down, teams must head to a traditional Mid-summer’s Festival and find a marked section of picket fence. They must count every picket that makes up the fence and then reveal their calculation to a villager for the next clue. In Step Up, teams must stilt-walk along a marked course to the Finish Line. If a team member falls off before reaching the end, that person must go back to the beginning. 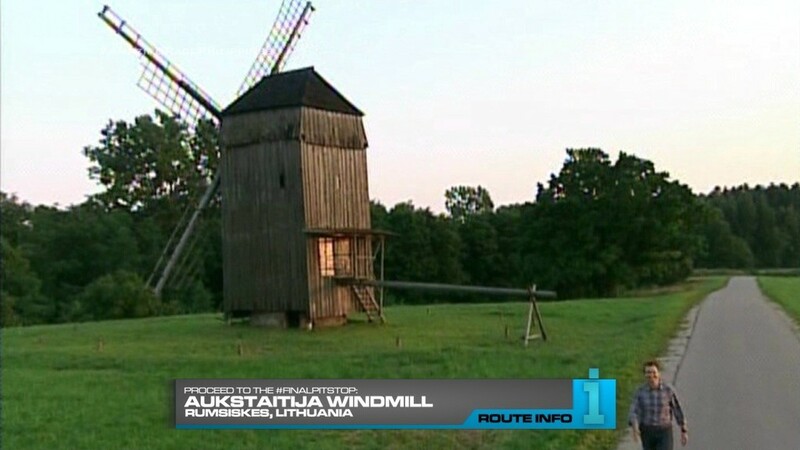 After the Detour, teams must look for Aukstaitija Windmill, the Pit Stop. The last team to check-in here will not be as lucky as last season. Only three teams will be Racing to the Finish Line so that means they are eliminated. Why not continue the TAR12 route? lol Truthfully, I had no idea what Asian country to have plopped after Burkina Faso. So Lithuania will have to do. Looking back, this Leg was pretty barebones as well. Half of the episode itself was airport drama. Can you believe that? Fun airport drama, but that means the Leg and its tasks were not very fulfilling. So a Leg in Lithuania would have to be redesigned and maybe just completely overhauled.